It seems like a very simple question, but most people aren’t able to answer it succinctly. In other organizations, only certain members of your team know why you are measuring it, but haven’t clued anyone else in. If you ask ten members of your team, you’ll likely get at LEAST 10 different answers and probably more. Typically when you get to the bottom of it, they are just the numbers you’ve always measured and have been carried over quarter after quarter. You’ve added a couple here and there, and never took any KPIs off of your dashboard. Before you know it, you are measuring more than you have the ability to impact. In order to ensure that you are measuring what matters, you must answer the following three questions about every one of your KPIs. If you can’t answer all three of the questions for a KPI, it needs to be removed from your dashboard immediately or worked on until you can clearly answer all three questions. This is the first place to start when you do your KPI audit at your annual planning session, or when you set clear success criteria for your goals at your quarterly planning session. Your company isn’t run by numbers, it is run by human beings that need to know WHY you are measuring what you are measuring. Numbers aren’t inspiring to the vast majority of team members, only to the self-proclaimed geeks, like me. We want to inspire our teams to greatness and need to help them understand why the numbers are what they are. This subtle change in focus will help your team better understand their purpose and align the team to increase productivity and drive the right adjustments at your weekly team meeting. 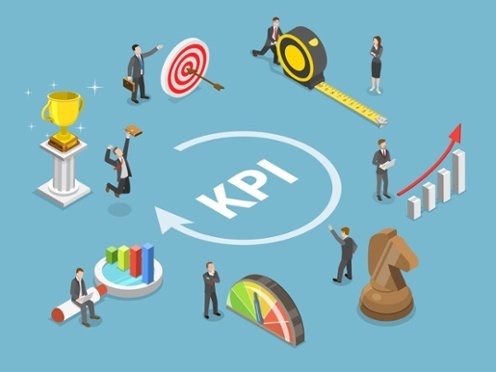 Read full article Does Your KPI Dashboard Measure What Matters? Curated from Does Your KPI Dashboard Measure What Matters?